Veronica Davis founded megatrndz.com in 2001. The website first began as a fashion event project. As a fashion apparel designer, fashion show producer, and creative director in Winnipeg, Toronto, and South Beach, Florida, her creative work has been viewed all around the World. In 2003, creating the megatrndz fashion show by helping others talents and promoting designers around the world that otherwise would not have been able to achieve it on their own. Her keen multi talents and skills also as an Informational Analyst has put her as an International analyst for major Corporation like IBM. Her Christian Catholic Faith has kept megatrndz.com alive . She hosts the megatrndz show on the megatrndz youtube channel. megatrndz.com is a website with a free platform for trends all around the world including fashion trends. 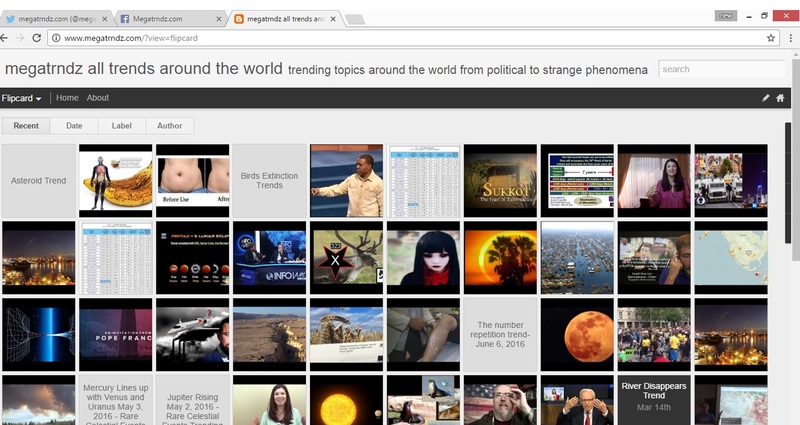 Megatrndz.com finds the trends that the new social media has created. The world wide web is a social experiment that some believe has created a super computer and super mind. Megatrndz.com has found the human behaviour can be studied by analysing where the crowd goes online by using social media such as twitter, youtube, google and linkedin. A trend can be created through analyzing data in mass quantity. For example social media has created campaigns where the masses go. Not referring to marketing campaigns. What attracts the masses in certain topics and subjects. The masses can pursue a certain emotion. Like feeling Happy. Religion and groups can create a point of interest in the masses. Events of the Year can create masses to pursue the subject at hand. A once in a lifetime event such as the solar eclipse August 21, 2017 trend, September 23 trend or the Mexico City 7.4 earthquake 2017. Events that are not happening on a daily, weekly or yearly basis will attract masses of people that are unique at times rather than the same crowd over and over again. As this decadence is at its final year, the masses of people have been changing over time. Analyzing various trends is a detail process that at times allowing time to pass will bring forth the best results. How Can I find a Specific Trend? Milan Fashion Week 2017: How Sustainable will Milan Fashion Week Be?